Hockey players have to do it all when it comes to training. They do strength training to become stronger for battling. They do high interval conditioning because they work in high intervals on the ice, and they work on their agility as their movements are to be unpredictable. These different kinds of training really put strain on the body, and are why stretching is a key component in a hockey player’s warm-up and cool down exercises. Mobility: This is the most obvious benefit as stretching leads to greater flexibility. If a hockey player increases their flexibility they are also increasing their mobility. For example, having loose hips allows the player to get lower in their hockey stance which gives them more mobility and power in their stride. Mindfulness: Yoga is a form of meditation which practices mindfulness and relaxation. Being on the yoga mat can reduce your mental stress. Hockey is a high stress game mentally and physically. While yoga teaches you to be in the moment and relaxed. 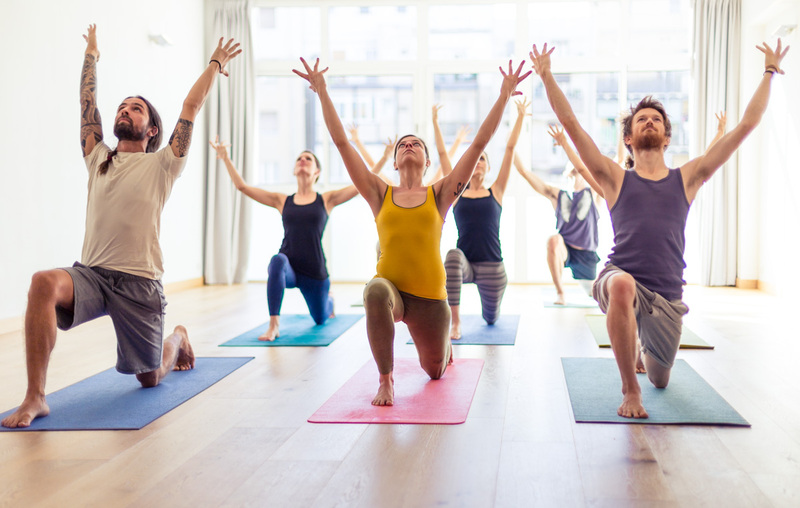 Yoga essentially recharges your batteries and gives you skills such as breathing techniques to use in high stress situations. Breathing: Yoga teaches you how to breathe properly through exercise. Better breathing helps hockey players improve their endurance, reducing the time it takes to recover in between shifts, and optimizing their performance. Balance: Yoga positions build one’s balance when taking your body out of your comfort zone learning how to distribute your weight properly. Hockey is played on two five millimeters of steel. When hockey is played at optimum speed, the player is always only on one foot, therefore balance is essential for hockey players. Focus: Yoga poses require lots of focus. Focus is necessary during poses to ensure you are doing them correctly. It also requires you to focus on your body and determine areas of pain or stress. Working on such focus helps hockey players know what their body needs more and less of. Being conscious about your body and mind helps eliminate any outside distractions and allows the hockey to focus strictly on the task at hand.